Empty desk in a classroom (file photo). Public school students and parents are suing Rhode Island's governor and education officials in federal court, saying the state fails to prepare young people to fully participate in civic life. The lawsuit, filed Wednesday, asks the court to confirm the constitutional right of all public school students to a civics education. 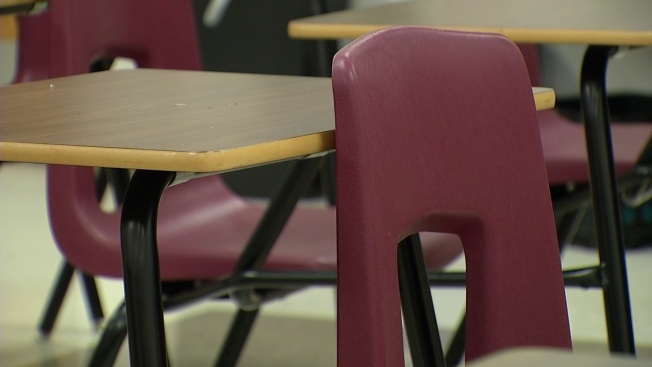 The governor's office said it has been working to fix the fundamentals in the education system and it'll review the lawsuit. State education Commissioner Ken Wagner says he supports efforts to secure more legal protections for student access to a quality education. High school senior Musah Mohammed Sesay says he hasn't been exposed to even the basics of how to participate in democratic institutions. The Center for Educational Equity at Teachers College at Columbia University and the Rhode Island Center for Justice filed the lawsuit.